This is the second post in a series on artificial consciousness. For an introduction and a road map, see Artificial Consciousness: Introduction. Let’s consider whatever informal definition of consciousness you happen to have. Chances are, it centers on the concept of awareness of environment and of self. Is awareness a yes/no proposition, or is it a matter of degree? If you have ever awakened from a nap, or ever had too much to drink, you know that awareness of one’s environment is a matter of degree. Case closed. Awareness of self is trickier. At first blush, it seems that either one is aware of oneself or one isn’t. But consider the tragic situation of dementia. I knew someone (now deceased) who was sliding deeper into Alzheimer’s Disease. He was largely unaware of his condition. In one of his lucid moments, though, his wife said it was time for him to move out of their home so he could have better full-time care. “Am I as bad as that?” he said, quite upset. He had had only a vague awareness of his condition. 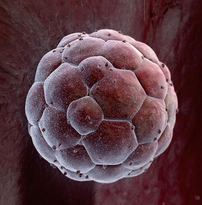 Consider a developing human, from the moment of conception onward. Surely he or she is not self-aware when he or she is a single cell. That is not to say that a single cell is unresponsive to its environment, but we’re talking about self-awareness. Does self-awareness suddenly pop in at x weeks after conception? Isn’t it more likely that it develops gradually, just as the brain itself does? In short, it seems obvious that awareness of self and awareness of environment can scale gradually down to zero. I’ll venture that the same is true of the other aspects of your own definition of consciousness. If you disagree, please leave a comment on this post, and let’s talk. Next time, we will think about which attributes of consciousness are the essential ones. Hey, great post and thoughts. One might ask if there is a fundamental difference between consciousness originating out of organic beings, versus inorganic machines. When you think of it from an evolutionary standpoint, from the simple neural net of a jellyfish that provided only reflexive response to stimuli, to a flatworm with a primitive collection of neurons at its anterior end that is a “proto-brain”, on up towards vertebrates, the nature or organic intelligence and consciousness is totally different from that of a machine. One might even say computer “consciousness” is more of a reflection of its maker, and has no origins in survival or natural selection in itself. (b) What aspect of your definition of consciousness can only by satisfied by a product of evolution? Also, how is the nature of organic consciousness totally different from that of a machine? I’d like to keep your thoughts in mind as I write future posts. OK, I’ve been thinking about this. At the surface, I certainly agree with you that consciousness can exist on a continuum. The problem I am having is putting artificial consciousness somewhere on the same continuum as that found from Jellyfish to mammal. In fact, I’m having trouble even calling it a form of consciousness. There are too many fundamental differences. On the one hand you have complex biology, neurotransmitters, biochemistry, genetic basis for instincts and responses to stimuli and even genetically based thoughts. With the other, its all just 1’s and 0’s and electricity, infinitely simpler even than a jellyfish neural net, and fundamentally different in all respects. At the moment, I don’t see any difference in kind between the 1’s and 0’s in a computer and the positive and negative charges that drive chemistry and therefore biology. It seems to me that in order for there to be a difference, we’d have to assume that biology at the most basic level includes something more than chemistry — something supernatural, perhaps. As I’ve learned more about biology, I’ve become more convinced that the supernatural is not needed to explain what we see. Some people do feel that consciousness is the exception — and I understand that you may not be one of those people. I hope you’ll stay tuned and continue to chip in your two cents’ worth now and then! My last couple of posts have been about Eastern philosophy, not artificial consciousness, but I’ll return to AC in the next few days. I enjoyed your discussion of consciousness not being just on or off, but warming up like an old TV set. However, what about our ability to think about ourselves. I am aware of a lot of thoughts and memories passing through me, sometimes singly and sometimes several at a time. And, then there is at least one “voice” in my head that I have immediate control over. This is the voice that I use to direct my conscious attention on my breathing, for instance. When I lose concentration, that voice directs me back to focus on breathing. So, it seems just as I have only limited control over my body (think heartbeat), I have limited control over consciousness. 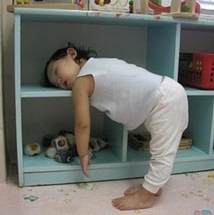 The inability to make oneself go to sleep is also interesting, although that may be more body than mind.